An investigation suggests the wife of an American reality show producer "died of strangulation"
(CNN) -- The wife of an American reality TV show producer was found dead at a Cancun, Mexico, hotel Thursday morning, a Mexican police spokesman said. 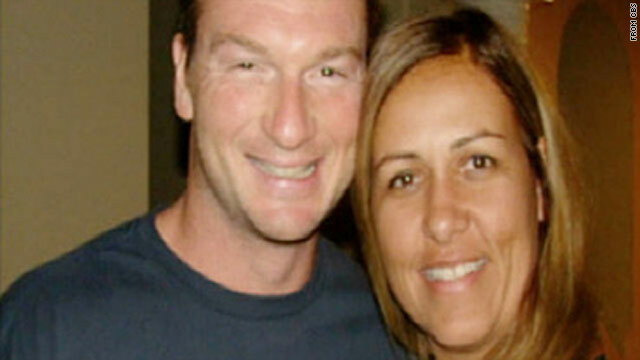 Bruce Beresford-Redman, a former producer on CBS' "Survivor," was detained as a suspect in her death, according to regional police spokesman Adrian Cardena. Monica Beresford-Redman's body was found in a sewer on the grounds of Cancun's Moon Palace resort at 9 a.m. Thursday, Cardena said. Her husband, who was staying at the hotel, had reported her missing Tuesday, police said. The initial investigation suggested she "died of strangulation because of the bruising," Cardena said. A family friend told CNN that the wife had cleaned out the couple's bank account and traveled to Hawaii with her children last week after discovering her husband was having an affair. CNN has not been able to confirm that any affair took place. Bruce Beresford-Redman called his wife and persuaded her to meet him in Cancun to reconcile their differences, the friend said. She arrived in Cancun this week, the friend said. The family friend said the husband said in a phone conversation Wednesday that his wife disappeared after leaving their hotel room to shop. Mexican police could not confirm any of these details to CNN. The hotel issued a statement to CNN saying its employees helped police when they began their search on Wednesday. "We assure you that safety is always a top concern at Moon Palace Golf and Spa Resort, and our guests continue to be safe at this time," the hotel said. Beresford-Redman built his career as a widely acclaimed Hollywood reality television show producer. He helped develop the popular 20-season CBS show "Survivor," in which contestants compete against each other in a variety of extreme outdoor scenarios. Monica Beresford-Redman, a native of Brazil, owned a restaurant in Venice, California. CNN's Mariano Castillo, Gabriel Falcon and Ninette Sosa contributed to this report.